My name is Kerri Stoehr and I am a counselor, a personal coach, and a career coach. I am honored to be able to work with people to help them transform their lives. I left a career in business, wanting to be of greater benefit and inspiration to people as they journey on their personal and professional paths. My combination of academic training and real life experience in counseling, coaching, business, and organizations puts me in a unique position to help you find the most effective passageways to the changes and growth you seek. Values: The values that guide my counseling and coaching are: compassion, respect, non-judgment, partnership, trust, fairness, adventure, curiosity, connection, continual learning, creativity, joy, humor, and spirituality. Methods: I am trained in several methodologies and techniques and tailor my approach to best meet the needs of each client. All methods rely on the motivation of the client to be an active partner in the counseling or coaching relationship. These practical and solution focused methods combine deep learning with action orientation. I believe in people’s inherent strength and wisdom, in people’s ability to make difficult choices, and in people’s ability to make positive changes in their lives. What people say about my counseling and coaching: People who work with me describe me as a deep listener who is insightful, compassionate, non-judgmental, respectful, welcoming, dedicated, professional, and results oriented. Clients appreciate my ability to gently challenge them and to help them learn within their learning style. Clients also appreciate how I help them discover and develop their own insights and answers, which results in longer lasting change. 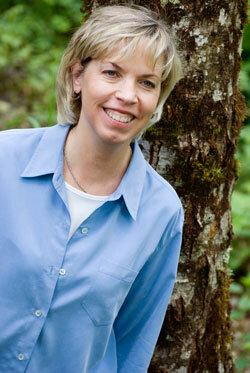 Credentials: I am a licensed Mental Health Counselor in the State of Washington and a Certified Professional Coach. I hold an accredited Master of Arts Degree in Applied Behavioral Science with an emphasis on Systems Counseling from Bastyr University’s School of Applied Behavioral Science. In obtaining my MA, I completed a rigorous course in the study of human behavior and counseling. I also completed a supervised clinical internship at a community mental health agency where I gained direct experience in providing individual, couple, group, family, and adolescent counseling for a wide range of issues. I also hold a Master of Business Administration degree from Pacific Lutheran University. I spent 20+ years leading, coaching, mentoring, team building, and motivating people in both public and private organizations. I believe that the challenges in our personal lives and the challenges of the work world are interrelated and find it very useful to explore both areas in our conversations. I have completed numerous advanced courses in a variety of areas including human behavior, human development, motivation, leadership, team building, and strategic planning.